Druger Eye Care offers many different treatment options for glaucoma such as medication, surgery and laser therapy. What truly sets us apart in glaucoma management is owning the latest in laser therapy, the Lumenis SLT. Our in-office laser therapy of Lumenis SLT, can offer patients the chance to reduce or even eliminate taking their eye drop medication for glaucoma. There are many different options for glaucoma treatment including medication, surgery, and laser therapy, such as Lumenis SLT. In fact, eye drops are the most commonly used treatment solution for high eye pressure and glaucoma. However, more than 90% of glaucoma patients forget to take their prescription eye drop medication regularly. This can cause large changes in eye pressure that can increase your risk for vision loss. Lumenis SLT is a quick procedure that takes a few moments and is virtually painless, but the best part is that it may reduce or even eliminate your need for eye drop medication for glaucoma. SLT has been cleared by the FDA since 2007. The procedure is clinically proven to provide long-term control of eye pressure in the eye for people with primary open-angle glaucoma which is the most common type of glaucoma, as well as other types of glaucoma. The laser energy reduces and controls the eye pressure causing a natural response that improves the outflow of fluid from your eye resulting in a lower pressure without eye drops. 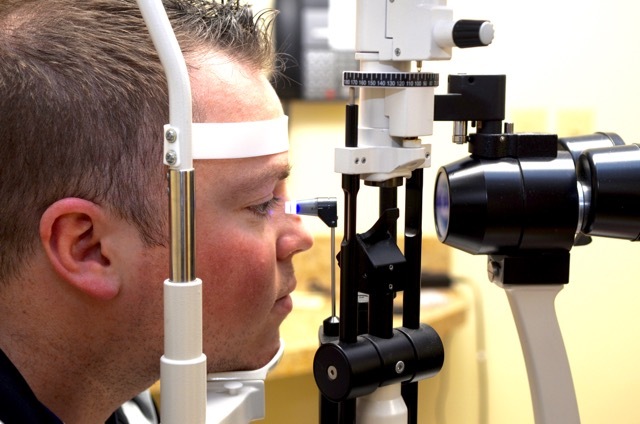 We offer the latest glaucoma treatment options for all our patients using the latest treatment methods and equipment. If you or a loved one are suffering from symptoms of glaucoma call us today to schedule an appointment. Our doctors will discuss all the available options with you and take the time with you to help you choose the best course of action for you and your family. Call Druger Eye Care to learn more about the different treatment options available to you. Call (315) 488-1601 to schedule an appointment in Camillus.